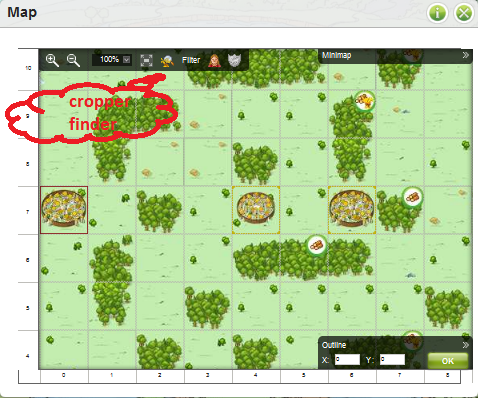 You have the option to search the map for all 15 and 9 crop villages. 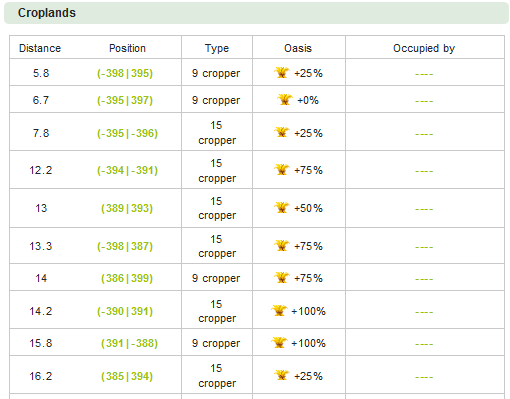 To activate the cropper finder you must be a member of gold club. Then you will be able to find the cropper finder symbol at the map. After you have clicked it you will be able to see the options of the finder. Here you can enter the position from where the finder has to search. The default start position is your village. You can choose the type of the valley/village you want to search for. At the “Oasis crop bonus (at least)” you can choose which type of oasis should be available at this valley/village. You can choose between “25%”, “50%”, “75%”, “100%”, “125%” and “150%”. Finally you can mark that the finder shows you only valleys.